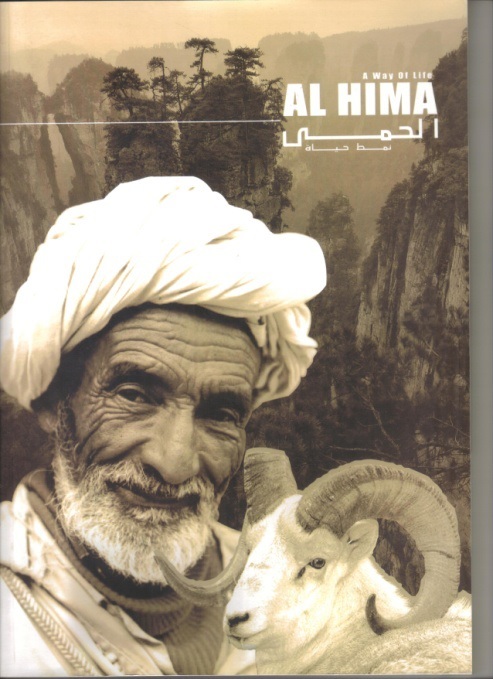 This manual explains the concept of responsible hunting areas-RHAs, their identification and management procedure, the promotion of responsible rural tourism in non-hunting season, and the role of youth. 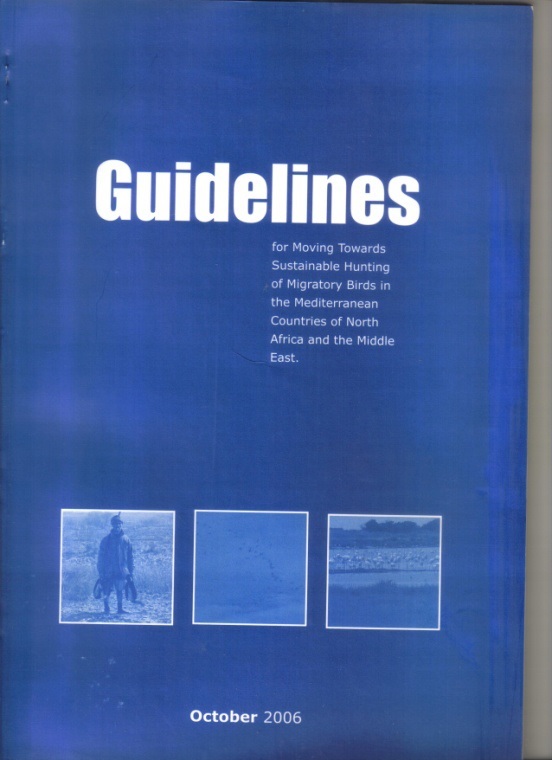 It would be an important resource for RHA identification, establishment and management for the benefit of birds, nature, and local community. 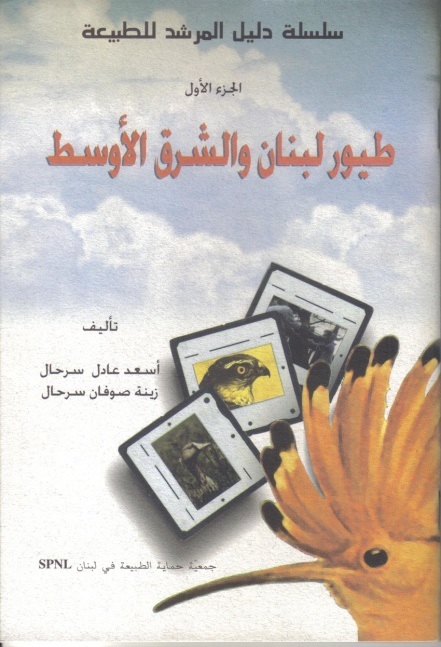 The book presents information and illustrations of most common birds species that reside or migrate through Lebanon. It is a simple guide highly suitable for school children. 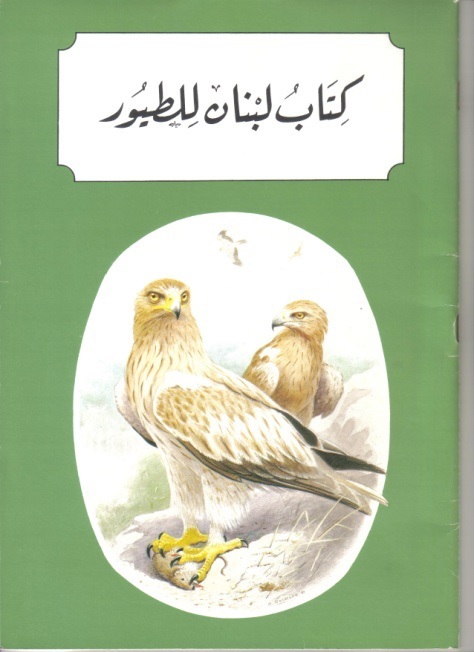 A field guide in Arabic that shows the major birds that exist in Lebanon and the Middle East. 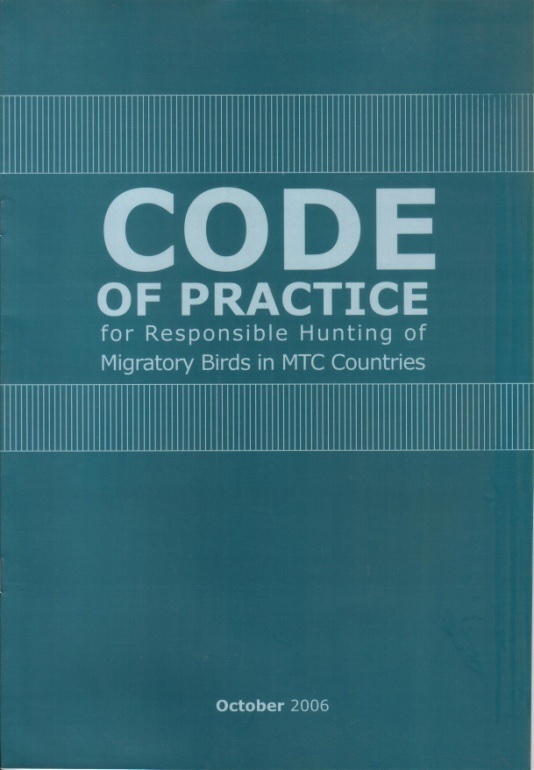 A list of practice codes that encourage responsible hunting practices and behavior among hunters and hunting groups to supplement national legal and management systems governing the hunting of migratory birds. 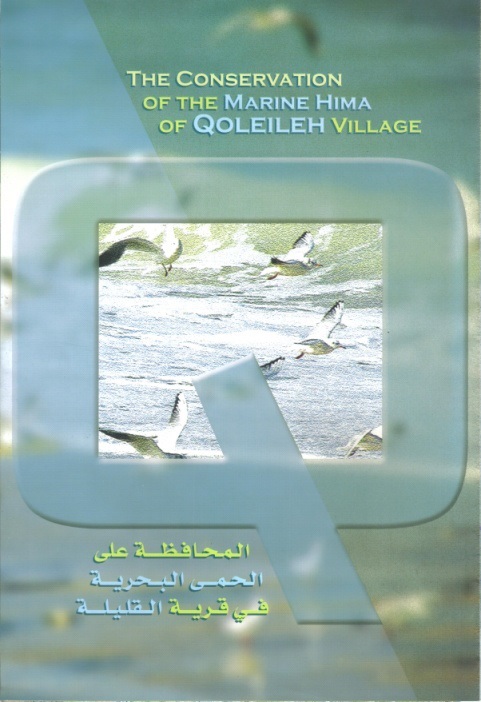 The pamphlet explains the project that led to the declaration of the Qolieleh marine hima, and the assets of the area; including the description of the project itself, its objectives, and activities. The booklet gives an overview of the IBA program, with key information on the process for selection of IBAs and their significance in Lebanon. 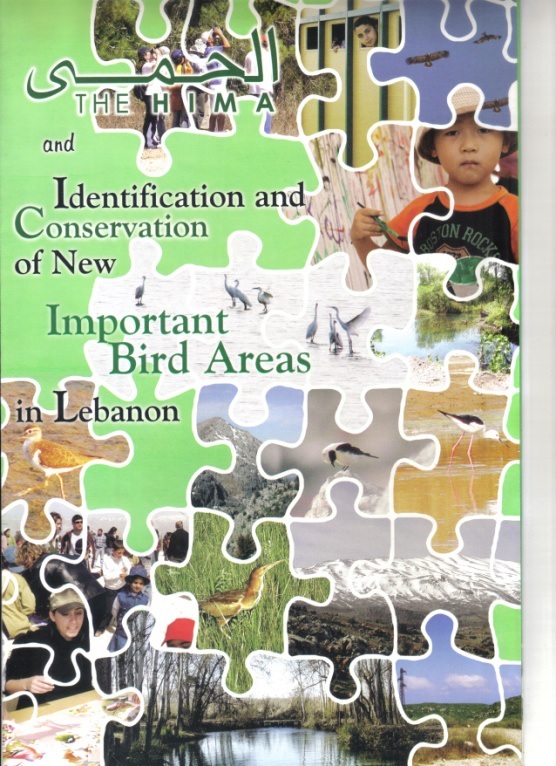 The booklet also lists the IBA sites in Lebanon at that time (before 2004). The information is presented in English, Arabic, and French. The pamphlet gives comprehensive information on all the sites in Lebanon that were considered to be an IBA after the end of the IBA research project in 2008. 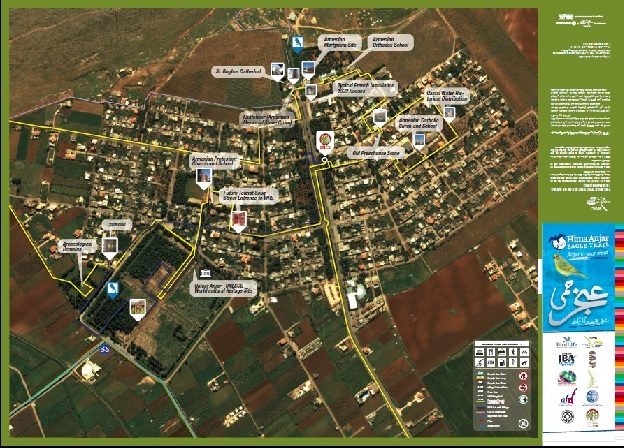 Information relating to the IBA program in general and a map of Lebanon with the location of each IBA are also presented. 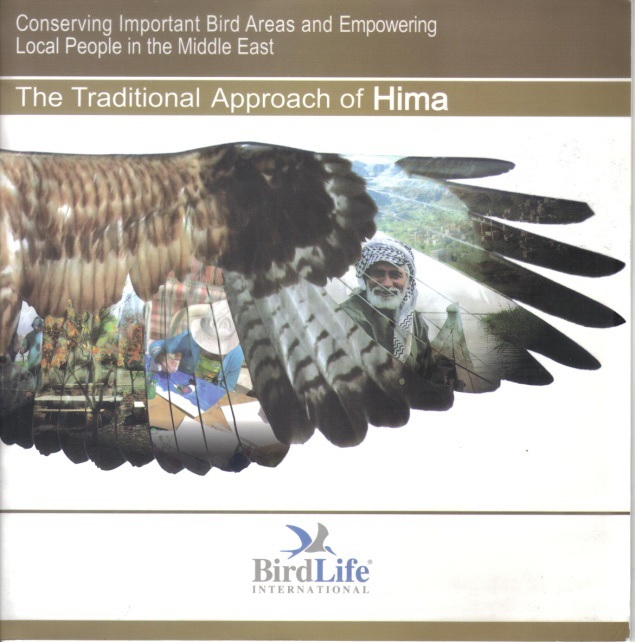 This booklet presents the concepts of IBAs and Hima, and it discusses the potential of conserving and sustaining IBAs via the Hima approach and empowering local people in the Middle East. 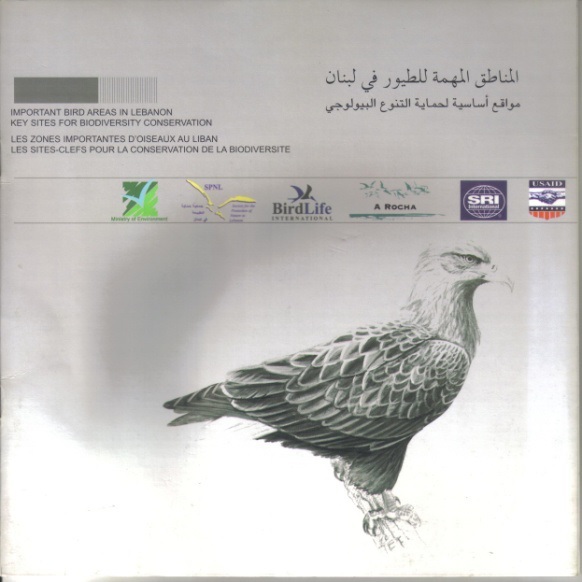 It is produced by BirdLife Middle East office in collaboration with SPNL. 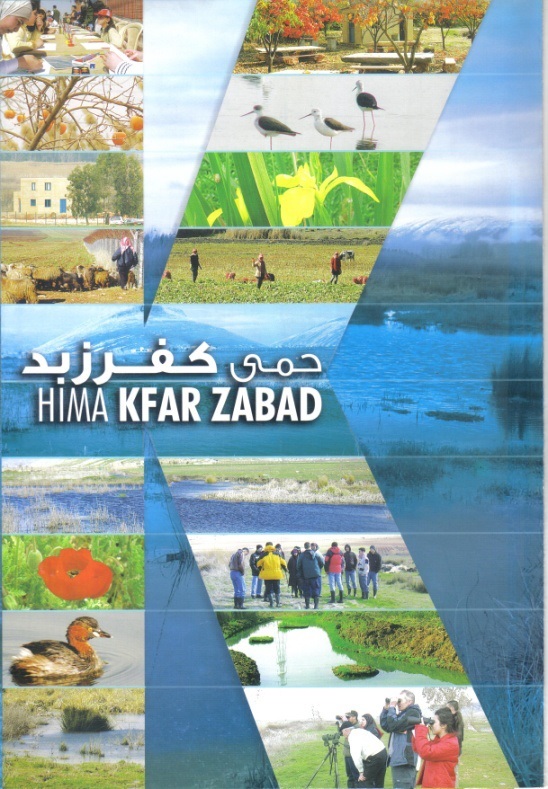 The pamphlet presents information on Hima Kfar Zabad and its management in collaboration with the municipality, the projects that were conducted by SPNL in the Hima, as well as the proposed activities that could be practiced at the site. The pamphlet also presents a map of the Hima with legends of the zonation and proposed activities. The booklet gives a general overview on the Hima of Ebel Es-Saqi (Location, Culture, Heritage, and Architecture…). 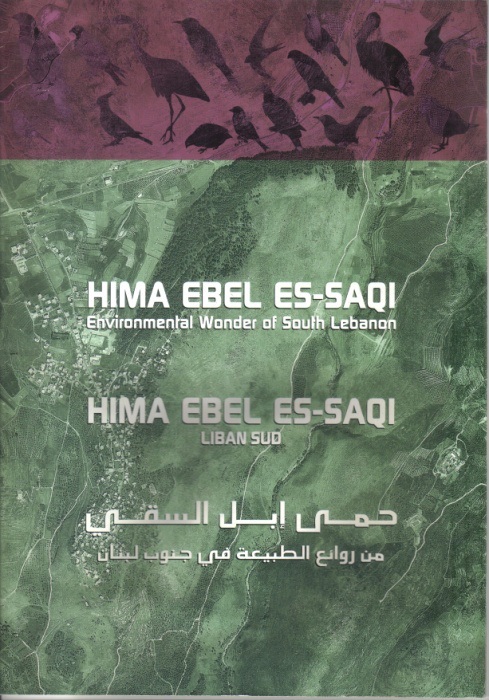 In addition, the booklet presents data on Ebel Es-Saqi as an IBA, with information on the project and its objectives, and the possible eco-touristic activities that could be practiced at the Hima. 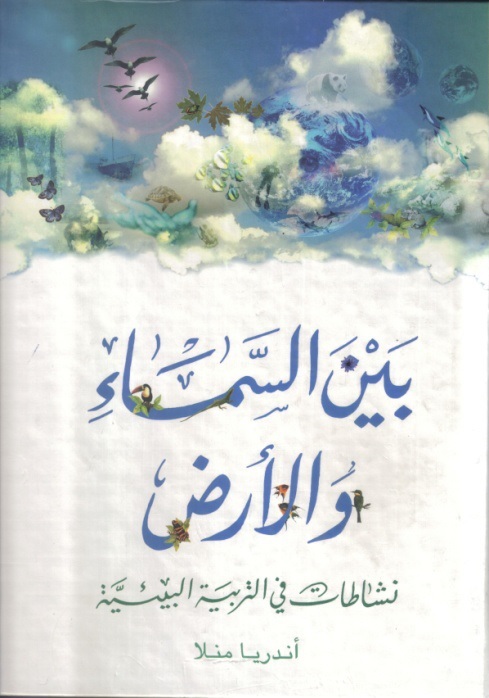 A book that is produced in Arabic, English and French. It discusses the aspects of the Hima approach and its importance in sustaining the environment and the livelihood of humans. The pamphlet explains the linkages between IBAs, Himas, and Site Support Groups-SSGs. It also lists all the proposed and declared IBAs in Lebanon at that time, and the proposed objectives of the IBA research project carried out by SPNL. (2004-2008). The book is an educational guide that is mainly directed to students and teachers. It aims at delivering necessary information regarding the environment. It is divided into three sections; the 1st section evolves around the principles in environmental education and awareness. 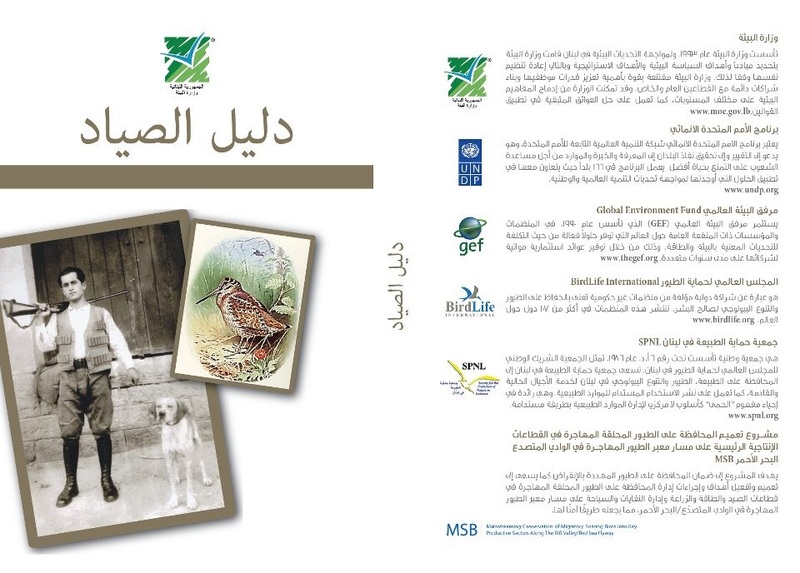 The 2nd section tackles nine important areas related to the environment (water, solid waste, pollution, biodiversity…), and the 3rd and last section covers a brief description on the status of the environment in Lebanon with regards to the natural reserves, and the most important mammals and wild trees in Lebanon. This guide is part of the education and awareness programme. 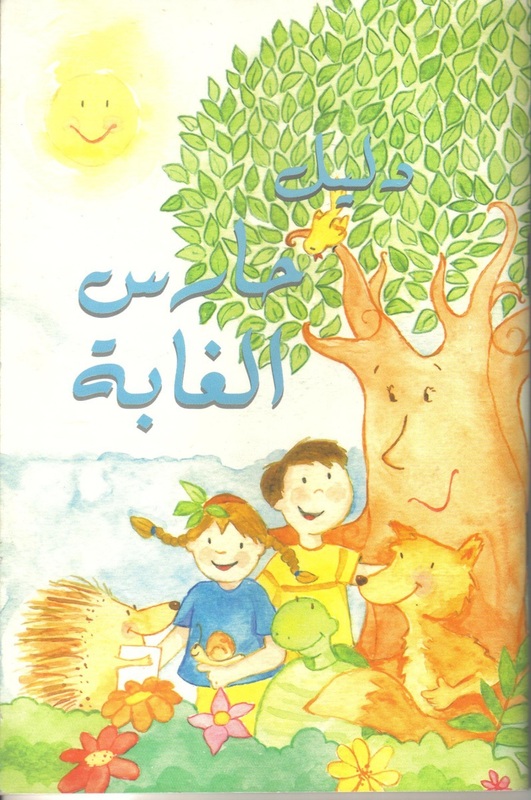 It provides to students information and educational games on the forests, trees, plants, flowers, insects, proper ways of plantation, natural reserves in Lebanon, means to protect the natural reserves and nature as a whole, in addition to the threats that are facing the nature. This guide includes information about the hunting equipments and weapons with several facts about their features, the ammunition, how they function, and how they should be cleaned and stored. 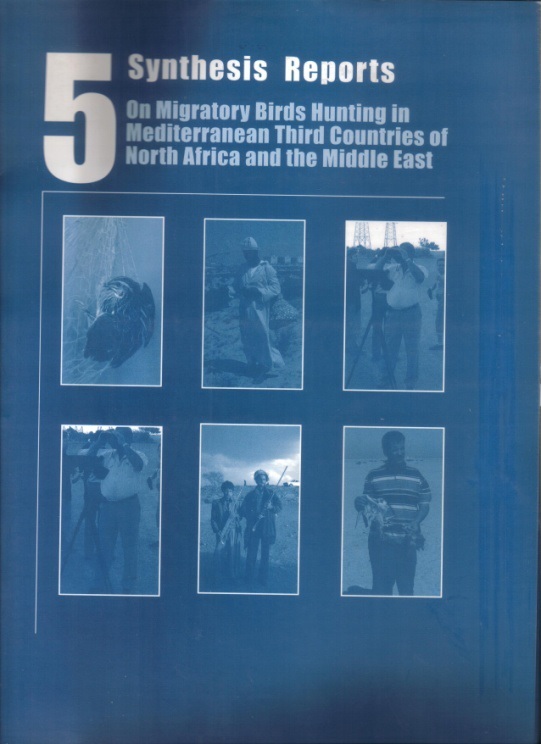 Moreover, it covers the basic skills that should be present to shoot or hunt, the hunter’s ethics and responsibilities, the concept of sustainable hunting, planning and safety skills, the Lebanese hunting law, conservation of the nature and wildlife, importance of Lebanon to birds migration, in addition to the list of bird species in Lebanon and the game birds that can be hunted. This guide is the reference book for the hunter in order to pass the exam needed for the hunting license according to hunting law 580/2004. 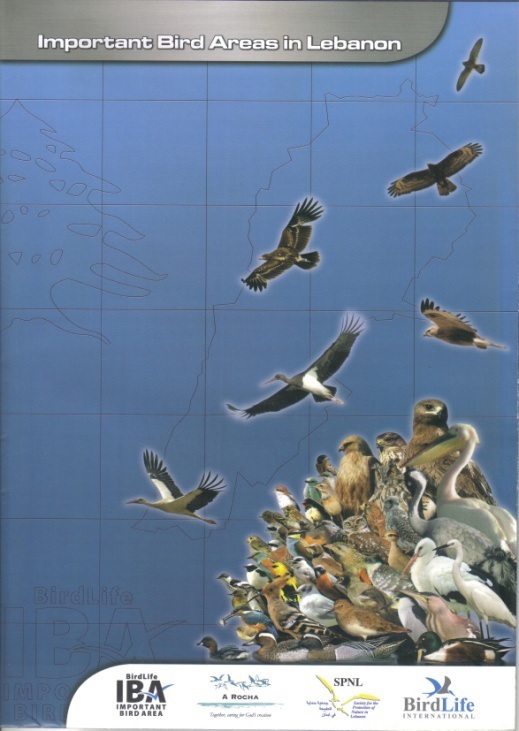 The pamphlet includes information about the geographical location of Aanjar, Hima definition, ecosystem and cave ecosystem definitions, water cycle, water and irrigation system in Aanjar, fauna and flora of Aanjar, history and traditional cuisine of the Armenian community, the Unesco Cultural World Heritage of Aanjar castle, the wetlands ecosystems, the important bird areas (IBAs), and the activities that can be done in Hima Aanjar. It is a promotional pamphlet for Aanjar as part of the ecotourism plan.